Keeping abreast of current trends is a critical element in the sustainability of any organisation. Comb Communications cut its teeth in the residential estate market as a pioneer in the adoption of GSM technology linked into the Internet. Numerous successful access control installations in a wide variety of estates throughout the country and abroad have provided the company with a vast footprint of residential customers eager to enhance their security. 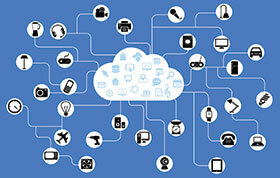 While the term Internet of Things (IoT) was first mentioned in mainstream publications like The Guardian, Scientific American and the Boston Globe in 2003, the concept was actually born between 2008 and 2009 at the point in time when more ‘things’ or ‘objects’ were connected to the Internet than people (according to the Cisco Internet Business Solutions Group). IoT however did not become common until 2015 and has since accelerated at a rapid rate. Comb Communications has taken its recognised hardware offerings and evolved each product line to encompass this growing trend that sees increasing focus on software development as well as Internet-based management solutions. “Our customers are technologically savvy and all have a common goal in mind – controlling and monitoring access into residential or business estates in a safe and secure manner, while providing the highest levels of convenience for its users. By implementing strategic design changes, our product portfolio now includes a carefully orchestrated combination of standard and bespoke hardware elements integrated with a considered software offering in order to provide a holistic access and control solution,” says Comb Communications founder and CEO, Graham Wild. Forming the hub of communications with Comb’s access control hardware, Comb Portal – an online integrated web platform – provides Comb’s customers with a secure means of managing access into their estates. Wild explains that the platform has a number of features that are geared around equipping estate managers with the tools to control the access environment. When combined with Combware – Comb’s hardware offering – Comb Portal allows the user to register, add and invite users, as well as change their details in a simple and quick manner. It also provides a health check on devices, to ensure that uptime of the system’s components are maximised. Documents can be easily managed on Comb Portal and users are provided with a comprehensive selection of reports that include system usage, billing details and informative statistics. Portal also allows the user to undertake pro forma invoicing, linking/unlinking/deleting of connected devices, and access allocation management. The new Comb intercom allows interaction with estate security personnel in an easy and hassle-free manner. The modular unit has a backlit keypad to ensure maximised visibility and is equipped with tamper detection to ensure that unauthorised users are unable to override the security system. The Comb intercom has built-in reset to ensure continued use even in inclement conditions. Users are provided with peace of mind by using either the guard call or emergency call features of the intercom, ensuring that aid is simply a button push away. In addition, it has full integration with Comb’s keypad for seamless guest access and control. The standalone Comb keypad is available in three different colour LED options. Ethernet and RS-485 communication protocols provide flexibility and a weatherproof housing ensures that the unit remains operable during the harshest environmental conditions. Operating on a 12 V DC input, on a single relay, the keypad provides consistent reliability over extended periods of time. Comb is constantly updating and integrating with an array of third-party ware, including but not limited to biometrics, number plate scanners, CCTV, alarms and gate motors to ensure estate ecosystems are controlled and access is managed from a single point with Comb Portal. For more information, contact Comb Communications, +27(0) 11 089 5800, info@comb-communications.com, www.comb-communications.com.